Question: Thanks for responding. We would also like to know what the open front and back porch dimensions are. Question: Do you have any other interior pictures of plan 68169. 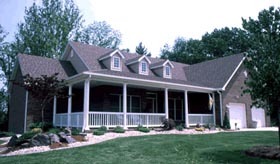 Also other interior dimensions such as master bath and closet, foyer and front and back open porches? 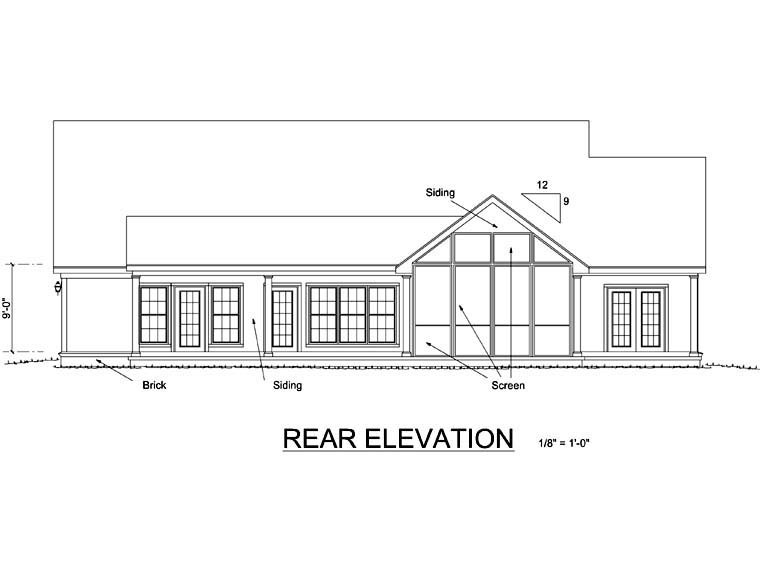 Question: can you send me a rear elevation? What is the size of the shower and tub? Thanks! Answer: The tub is 5 foot x 5 foot. The shower is 4 foot x 4 foot. Question: 1)Are the dormers funtional, or can they be deleted without affecting the interior? 2)Is this plan adaptable to truss roof framing? 3)Is the basement a walkout? What does it look like? 4)If the crawl option is used, which room would enlarge, with the removal of the stairway from the floorplan? Is one side of the stairwell load bearing? Answer: 1. The dormers are not functional 2. The plan notes optioonal Roof Trusses 3. The Basement is a standard non walkout. 4. The stairway remains for access to the Attic/Gameroom. With trusses neither side would be load-bearing.